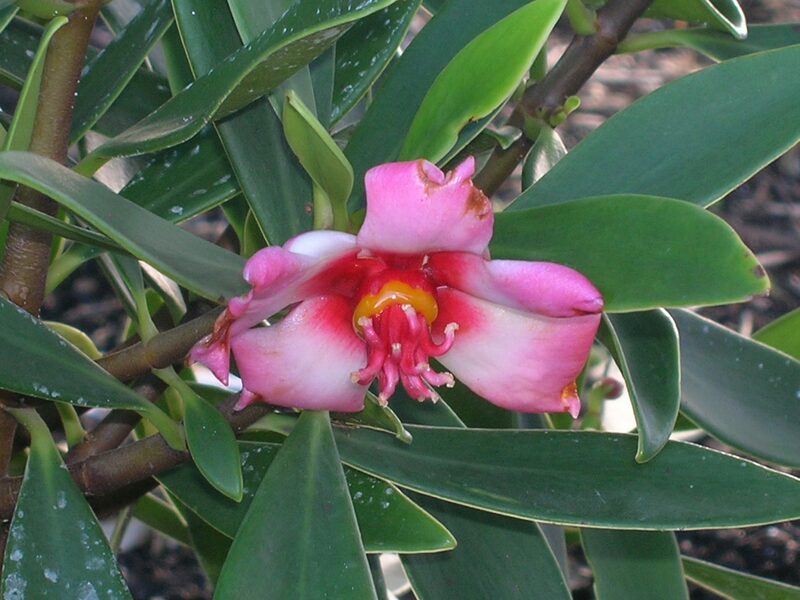 Autograph Tree or Pitch Apple (Clusia rosea) - Richard Lyons Nursery, Inc. In 1898, the United States became embroiled in the Spanish-American War. President William McKinley, eager to assess the relative strengths of the Spanish forces and Cuban insurgents, wanted to send a message to General Calixto Garcia, who was somewhere in the mountains of eastern Cuba. Col. Arthur Wagner, head of the Bureau of Military Intelligence, recommended a lieutenant named Andrew S. Rowan for the task. Rowan was soon dispatched by ship with the message, and, following a quick, harrowing trip through Jamaica and the eastern end of Cuba, he reached Gen. Garcia with the letter. Rowan returned to Washington with invaluable intelligence disclosed by Garcia that enabled the U.S. to end the conflict in just 10 weeks. 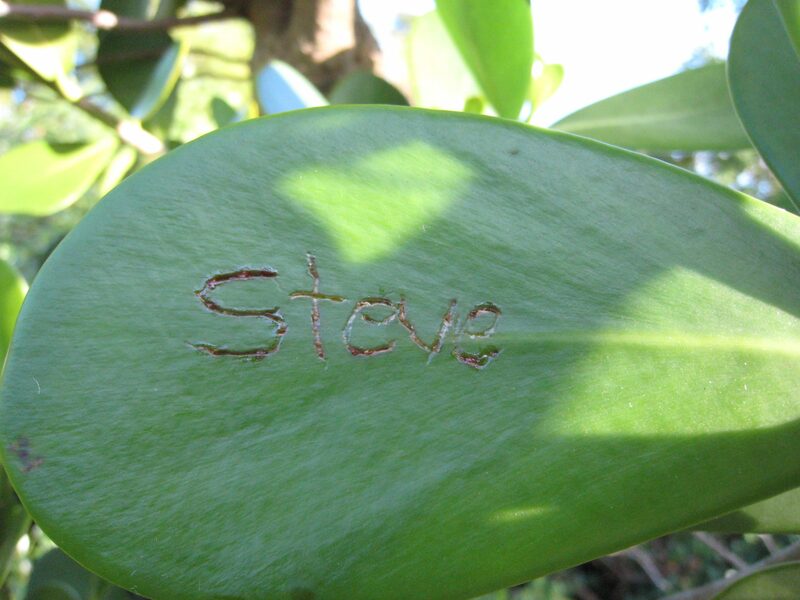 Legend has it that the famed Message to Garcia was scratched into the leaf of a tree called Clusia rosea. (One would have thought that by 1898 the president of the United States might be writing letters on paper instead of tree leaves, but I digress.) 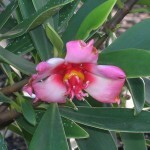 Whether the account is true or not, Clusia rosea is a very interesting, desirable plant for subtropical gardens. Native to southern Florida, the Bahamas, and into the Caribbean, this relative of mangosteen reaches 25-30 ft. 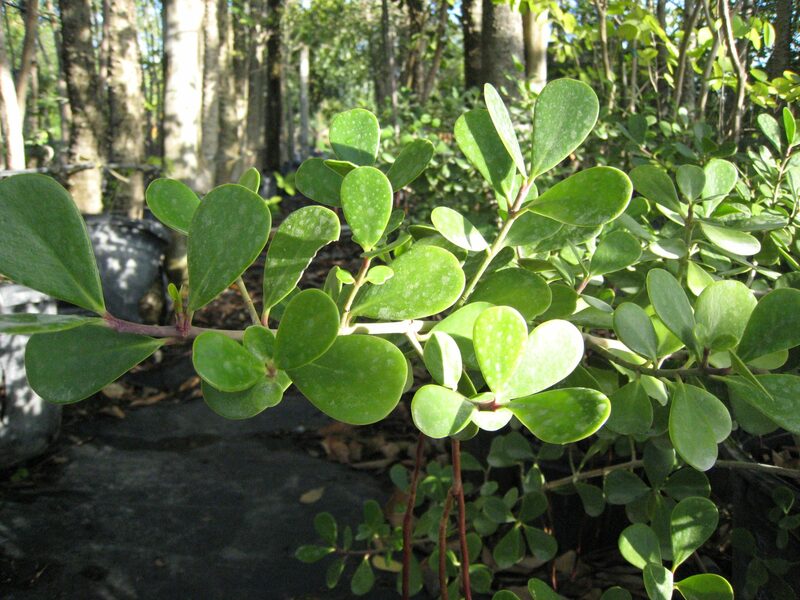 It produces a fairly stout trunk and features a dense canopy of leathery, dark green, paddle-shaped leaves. 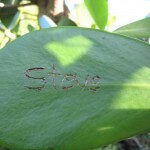 Messages can, in fact, be written on Clusia leaves; the sap exuded through scraped surfaces is visible for the life of the leaf. 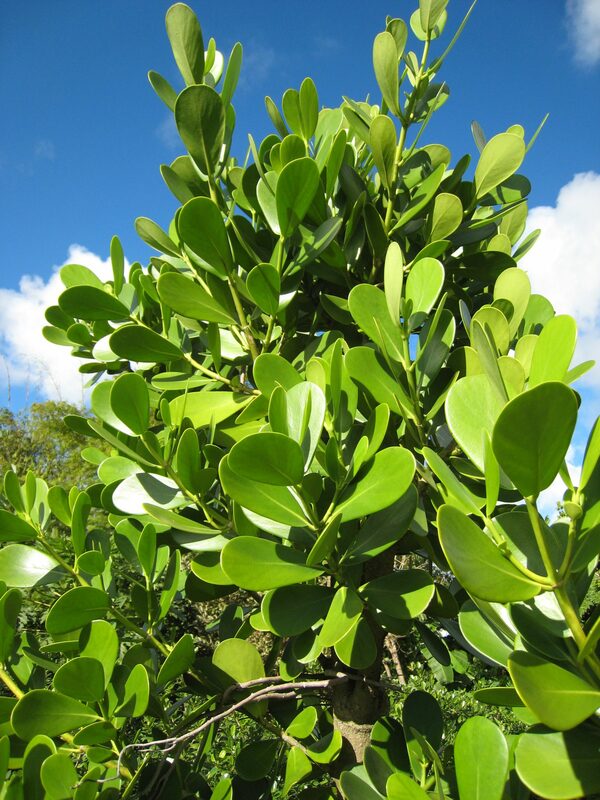 That’s why the best-known common name for this plant is the Autograph Tree. Another name is Pitch-Apple, a reference to the one-time practice of caulking the seams of boats with the resinous black substance found in seed pods. The 2-3 in. 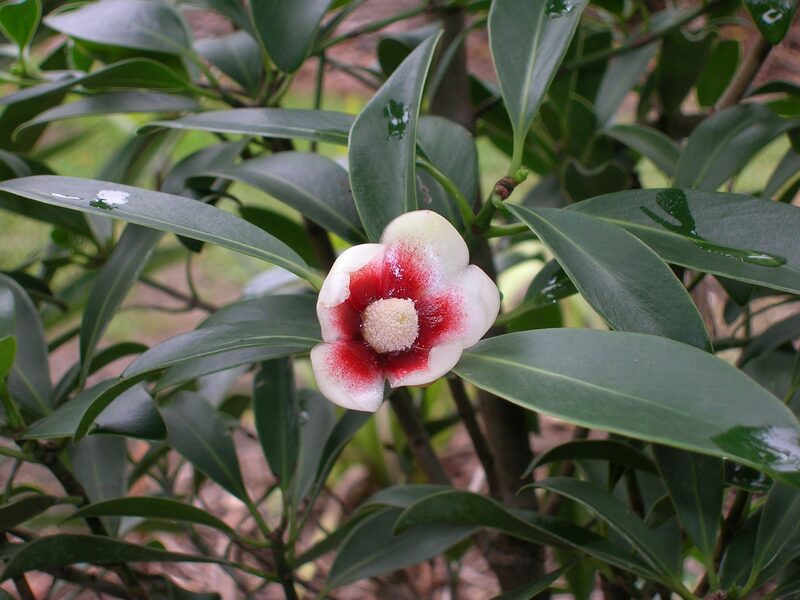 white-to-pink summertime flowers of C. rosea give way to woody pods, or capsules, that split open as they turn brown, revealing black seeds wrapped in soft red flesh. The fruit attracts birds, along with squirrels and other mammals. 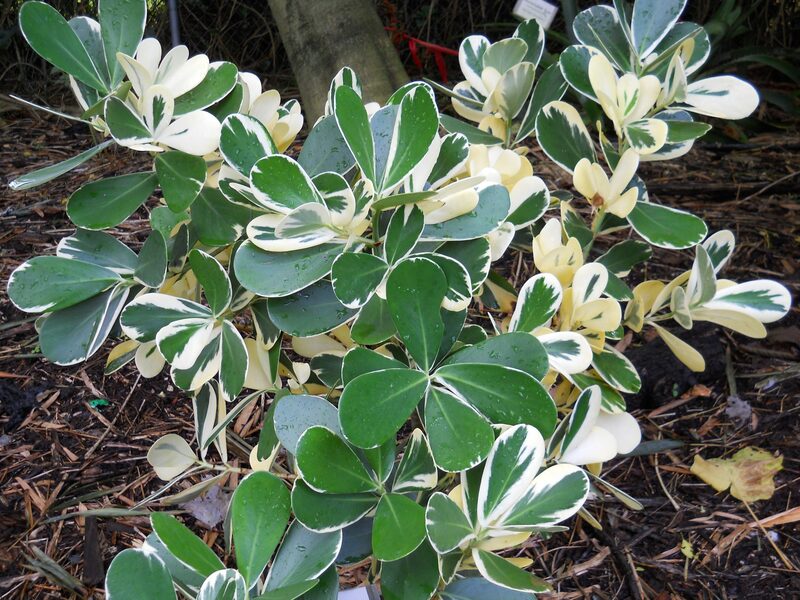 As an ornamental plant, The Autograph Tree has many appealing attributes — tolerance to drought, saltwater, and variable light conditions, as well as strong resistance to disease and insects. 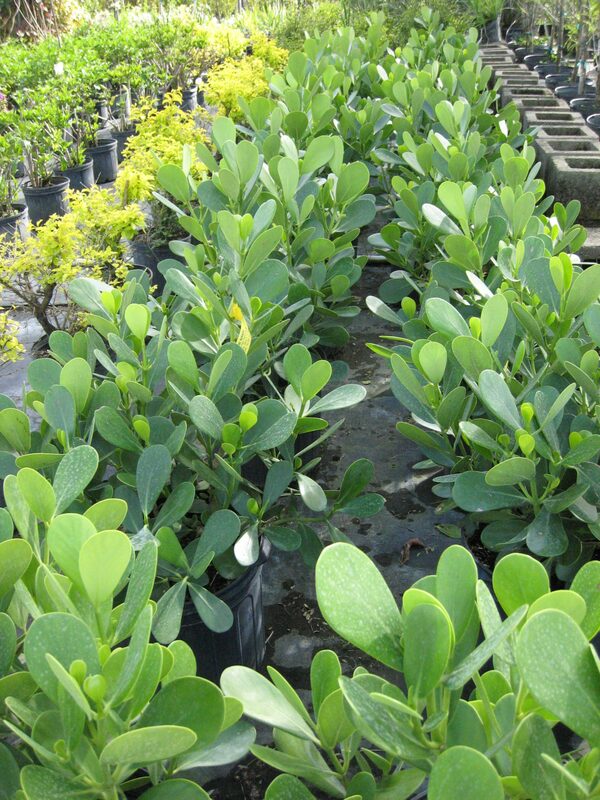 It is quite amenable to constrictive planting sites, such as islands enclosed by concrete. 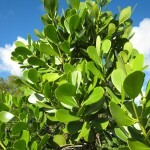 There are few maintenance demands, although occasional trimming of aerial roots helps manage growth. 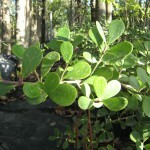 C. rosea grows at a moderate rate and may be pruned from multiple stems into a single trunk to transform it into a standard. 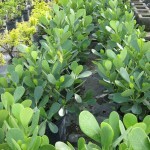 That is particularly valuable to its use as a street tree. 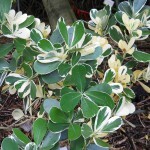 On the other hand, left as a multi-stemmed shrub, it makes a wonderful screening material. 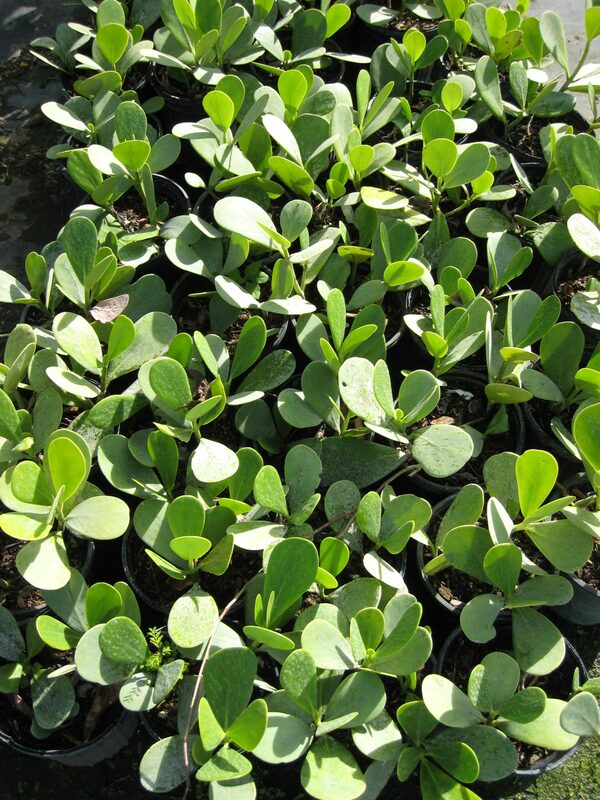 This attractive species is available at Richard Lyons’ Nursery in 3-gal. and 15-gal. sizes. 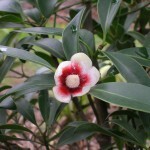 There is also C. rosea variegata, whose leaves feature green and yellow marbling, C. lanceolata, with a beautiful small white flower with a red center, C. orthoneura with a small pinkish red flower, and C. guttifera ‘Nana’ a small-leafed species excellent for bonsai culture. 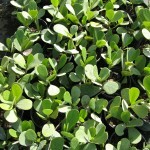 We offer these other beautiful Clusias in 3-gal. containers.